Ah, the traditional two heroes meet and fight before becoming friends scenario. 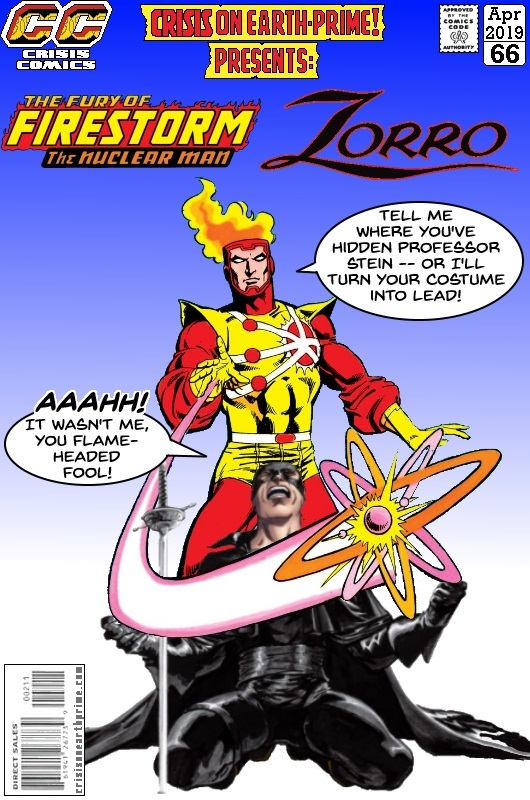 Posted on Friday, April 5, 2019 Saturday, March 23, 2019 by GaryPosted in Mash-UpTagged firestorm (Ronnie Raymond), Zorro. I don’t know what that is but can probably guess – I sure as hell aren’t going to search for it!